Want to know more about ebooks? Have a look at our guide to find out what an ebook is, and how you can read them on different devices. Signup for our email newsletter for details on new releases, upcoming events, and special offers. Download this title immediately after purchase, and start reading straight away! Want to buy a great gift for a special someone? Buy them an Ebook Gift Voucher. Rotoroa Island in the Hauraki Gulf, tiny and isolated, is home to a Salvation Army facility for alcoholic men. It’s also where three people at very different points in their lives share a fleeting encounter. There is Katherine, known to history as Elsie K. Morton, famous journalist and author; Jim, an alcoholic with a young family; and Lorna, a teenage mother who has turned to religion, looking for a fresh start. As the stories of their lives are revealed, so too are their hopes and vulnerabilities. 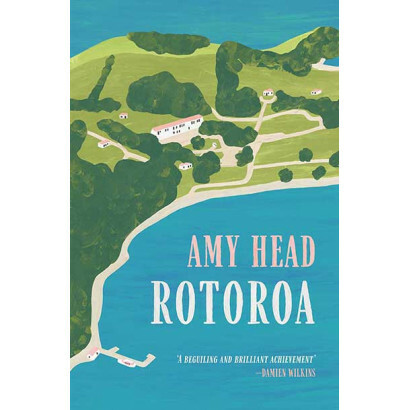 Set in the 1950s, as New Zealand society is starting to change under the pressure of new cultural energies, Rotoroa is a compassionate, beautifully unfolding examination of loss and the possibility of renewal. 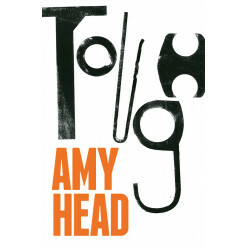 Told with subtlety and intelligence, this novel affirms Amy Head as a remarkable new voice. Amy Head lives in Christchurch. Her first book, the short story collection Tough, was included in the NZ Listener and Metro best books lists for 2013 and was the winner of the NZSA Hubert Church Best First Book Award for Fiction in 2014. The EPUB format works on most modern devices, but not the Amazon Kindle. Refer to our guide to see if EPUB suits your device. The Kindle Mobi format works on the Amazon Kindle. Refer to our guide for more information about Kindle devices. The Adobe PDF format works on most modern devices, but it is generally preferable to use either the EPUB or Mobi formats where these are available. Refer to our guide to see if PDF suits your device. The secure EPUB format works on those modern devices and applications that support Adobe’s DRM (Digital Rights Mechanism), but not the Amazon Kindle. Refer to our guide to see if secure EPUB suits your device. The secure Adobe PDF format works on those modern devices and applications that support Adobe’s DRM (Digital Rights Mechanism), but it is generally preferable to use either the EPUB or Mobi formats where these are available. Refer to our guide to see if secure PDF suits your device. The iPad EPUB format contains special features which currently only work on Apple iPads using the iBooks application. It is recommended that you purchase this format only if you intend to use it on an Apple iPad. Most of the players were hunched and drawn. Those who had recently crossed the Alps from East Can..
MeBooks exists to connect New Zealand publishers and readers interested in eBooks. We aim to help New Zealand publishers create and sell eBooks online, and provide an easy means for readers to purchase and download these titles.